Named one of Life magazine's "100 Most Important Americans of the 20th Century" and the first member of the LGBT community to receive the Presidential Medal of Freedom, Billie Jean King carries a legacy far beyond her 39 Grand Slam titles. Over her long career, she leveraged her role as a public figure to champion human rights, challenge discrimination, and fight for gender equality. 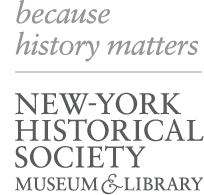 In 2016, Billie Jean King donated her archive to the New-York Historical Society, as part of its Center for Women’s History.